Sorry... the 2016 Mercedes-Benz CLA-Class is no longer being sold as new. 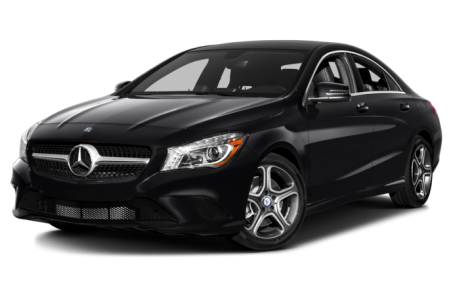 The 2016 Mercedes-Benz CLA-Class is an entry-level compact, luxury sedan with a selection of available packages. It competes with the Audi A3 and the Acura ILX. Two trims are available: the base CLA 250 and the high-performance AMG CLA 45. The sleek exterior of the CLA 250 features a wide-mouth front end, sharp headlights, and Mercedes’ signature diamond-block grille. Additional packages gives the body styling an even more pronounced, aggressive look. A new Night Package is available, which includes gloss black accents, 18-inch AMG multispoke wheels, chrome grille, and sport body styling. Panorama moonroof, Xenon HID headlights, and LED taillights are also available. The CLA 250 has a 208-hp, turbocharged 2.0-liter 4-cylinder engine mated to a 7-speed automatic transmission. A 6-speed manual transmission is also available at no cost. The CLA 250 comes standard with a front-wheel drive (FWD) configuration, but all-wheel drive (AWD) is also available. Fuel economy for the CLA 250 with FWD has an EPA-estimated 26/38 mpg city/highway; and 24/33 mpg with the AWD configuration. The AMG CLA 45 has boosted performance to 355-hp, but fuel economy diminishes to 23/31 mpg. Inside, the 5-seat CLA 250 has a premium two-tone interior with a great selection of color and material options. It comes standard with dual-zone automatic climate control, power driver’s seat with memory feature, split folding backseat, and 7-inch dashboard screen. A navigation system, wood trim, leather upholstery, heated front seats, and a Harmon Kardon premium audio system are also available. The CLA 250 offers several impressive standard safety features, including an Attention Assist driver-drowsiness monitor, forward collision warning with automatic braking, and rain-sensing windshield wipers. Other standard features include front airbags, antilock brakes, and an electronic stability system. A backup camera and automatic parallel parking are also available. The AMG CLA 45 has high-performance brakes, sport suspension, and a sport exhaust system. 7 of 7 (100%) consumers said they would recommend this vehicle to a friend.